Yeap, just sort of gallivanting around a park at two in the afternoon. So remember when I posted THIS back in September (I can't believe it's been that long)? Ta-da, this is the final product! If you haven't already noticed, I'm quite a sucker for accessories - bags, jewelry, shoes, whatever. And I LOVE clutches. I can't live without them! Before clutches came into my world, I used wallets. I had lots of them, in different shapes, sizes and colours. But unfortunately, it wasn't very efficient, especially if you're a working-class-quite-on-the-move citizen like me. I had cash and cards in the wallet, but lipsticks and lip balm (I carry a few options most of the time), phone, comb, mirror, emergency compact, hair tie etc etc etc (the list goes on) had to be stowed away either in the handbag I was using for the day or if it's a casual day out, meaning no handbag - they had to be left at home. Not working out. Thank goodness in mid-2011/2012, envelope clutches and over sized pouches popularized again and gave me to idea to make my own purse! Two years down the road, I can't imagine using anything else. I run out of the office to get lunch and I grab my trusty clutch/purse, knowing full well that I have everything that I need. 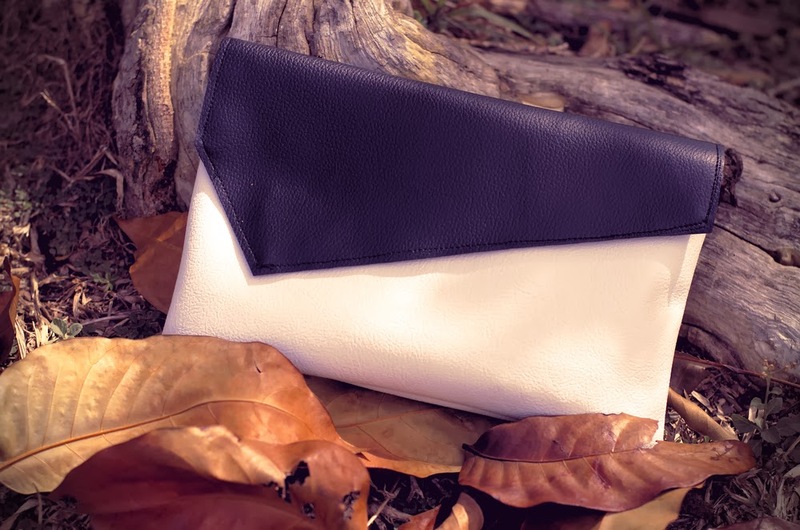 Being inspired by the simplicity in colours of Fall/Winter 2013 and Spring/Summer 2014 (Monochromes with a shot of colour), I decided to make myself a monochrome clutch! Tutorial coming up in my next post. Enjoy! 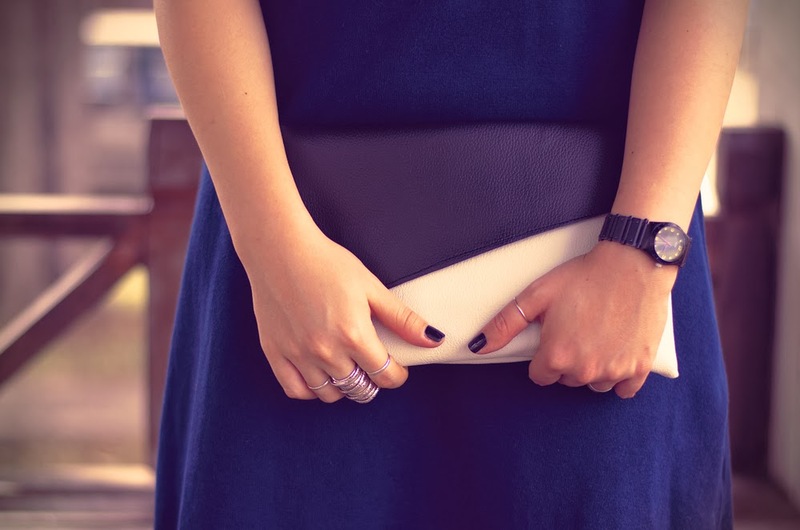 Stay tuned for the next post on how to make your very own clutch. Trust me, it'll change your life!